If you are a tea-lover this is great news for you. You can use the already used tea bags to flavor your fresh tea, soothe your puffy eyes, improve your hair and skin health and in many other different ways. Steep used chamomile, green, jasmine or any other tea bag in the boiling water before you put your uncooked oatmeal, rice or pasta. Remove them just before putting the grains or pasta into the boiling water. This will add mild taste and aroma to your favorite meal. 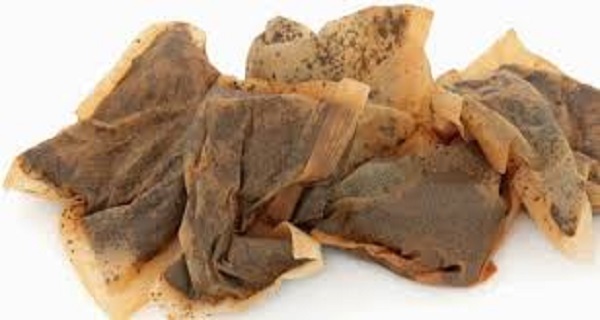 If you want to get rid of the unpleasant smell in your fridge, simply put several tea bags in it. Also, you can put the content of used tea bags in your cat litter to eliminate bad smell, or place the used and dry tea bags at the bottom of your trash bins or ashtrays to prevent the bad odor spreading around your room. The smell of fish, garlic and onion can be annoying and difficult to remove with just soap and water. So, scrub your hands thoroughly with the content of used tea bags and the unpleasant odor will go away. It will also soften the skin of your hands. Add some used tea bags in your warm tub filled with water and enjoy your bath. The antioxidants from tea bags will eliminate the free radicals from your skin and will make it soft and silky. This is also an excellent anti-stress therapy. Steep used tea bag in a cup of hot water and let it cool to room temperature. You can use this as a natural mouthwash which can help you get rid of plaque and bad breath. Choose green or peppermint tea. Steep used tea bags in a cup of hot water. Let it cool to room temperature. Wash your hair as you usually do and use the tea bags as a final wash.
Massage it thoroughly in your scalp and hair, and finally dry your hair with a towel. Brew a few used tea bags in a small basin filled with water. Soak your feet in it when the water becomes lukewarm. Once the water is cold, scrub your feet with the teabags. Choose green tea because it has antibacterial effect. Place a pair of tea bags in the fridge for several minutes. Apply them on your swollen eyes. Tea contains tannins which have vasoconstricting effect that will help reduce swelling. For best results, let the tea bags there for 15 minutes. Take a few used bags of black tea and place them in the fridge for a while. Afterwards apply them on the affected are. The tannins will constrict your blood vessels and will minimize the appearance of bruises. Used tea bags can help you clean the greasy surface of your glass and mirrors. They will also leave the glass and mirror shiny after you polish them with a soft and dry rag. Remove the staple wires before using the tea bags to prevent scratching. For stronger taste, put a fresh tea bag together with a used one in a cup of hot water. To enhance the taste and aroma, choose different used tea bag from the fresh one.